A simple yet beautiful valentines card that anyone would be happy to receive. 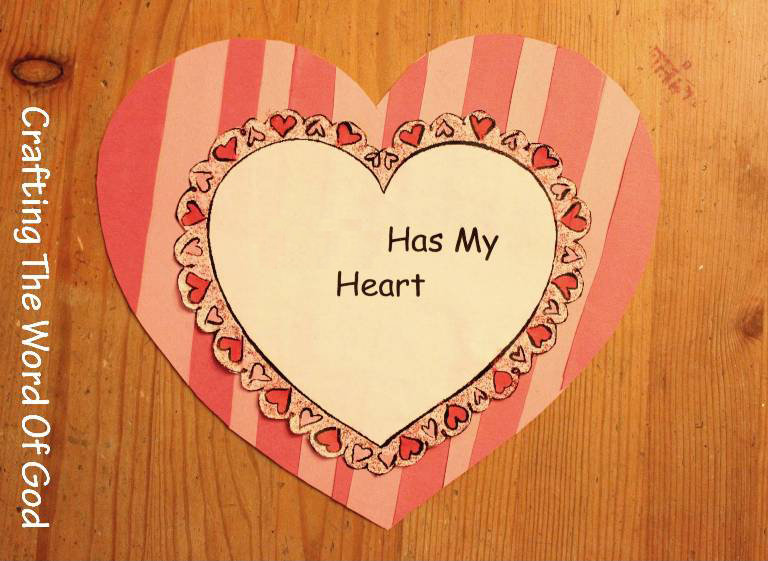 Cut strips of different widths (preferably red and pink, but you can mix things up) and glue them onto the large heart at a slight angle. With glitter glue fill in the white border around the smaller heart. This entry was posted in Holiday Crafts, Valentines Day and tagged bible crafts, card, craft, crafts, heart, love, Valentines, Valentines Day, Valentines Day card.